RIVER FRONT PROPERTY! The setting of this home is definitely a one-of-a-kind property that will astound you! ...Upon entering this home you will instantly fall in love! The custom-built high end woodwork/craftsmanship of this home is like no other. Custom arched doorways and solid wood doors of a true artisan. Dreamy kitchen! Kitchen cabinetry includes roll outs and custom lazy-susans making organizing a breeze. Gaze at the mountains and river while hovering over your kitchen sink window. It&apos;ll make cooking and cleaning a desirable chore. Then slip on out to your covered patio, and sip on your favorite beverage while entertaining friends and family with the peacefulness of the river flowing before your eyes. 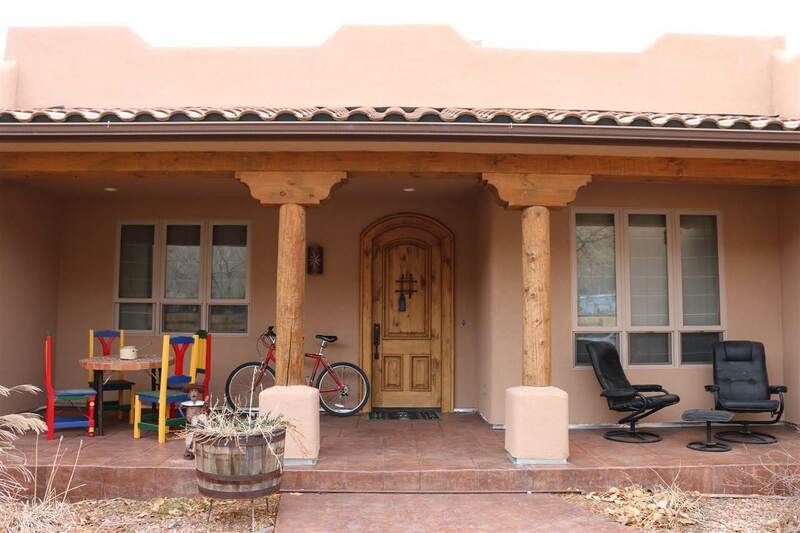 There&apos;s more.... brand new constructed Casita. Casita is full house, full kitchen. Use for in-law or investment income!